These Single Life groups were created to foster a network for RockPointe singles and other fellow Christian singles within the Flower Mound/Argyle/Highland Village/Lewisville area, in a safe and friendly environment. Our desire is to challenge each other to grow in relationship with God and one another through authentic community. Singles of all life stages welcomed! The Single Life group will meet weekly on Thursday from 7p – 9p. The 40+ Single Life Group will meet on designated Monday’s of each month from 7p-9p. For questions and to get the location, please follow us on Facebook or contact Amanda & Jake Ashford at singlelife@rockpointechurch.org. You are NOT alone! The single parent journey can often be tiring and challenging, but we are here to love you and support you on this journey! Come join us and connect with others! We hope you will join us for our weekly Sunday morning class, a luncheon and/or a social activity and that you will find HOPE, ENCOURAGEMENT and CONNECTION with others! We understand the challenges that single parents face. We are here to help and encourage you! If you have children of any age, you have something to offer other parents and you can be a beacon of hope all the while, yourself gaining friends and connection with others. Yes, you do get through this! We would like to invite all the single parents to join in our regular Connection Events. All connection events are open to you whether you have your children with you or not. Our goal is to give you a chance to meet other single parents at RPC, connect with them, have fun, and receive encouragement. Note: While the Single Parents ministry is open to men and women, our desire is to be a group support system for those going through the challenges of single parenting and is not intended to be a place to meet and find a future mate. We hope to provide a safe place for Single Parents to come, share and grow with others who are on the same journey. Come join us as we share with and support each other as single parents! We encourage one another as we discuss topics such as how to love our children through each stage of development the way God has intended, while allowing them to make choices and reap the harvest of their choices – good or bad. We support each other through parenting challenges as well as the personal challenges of parenting alone. Discussions and topics vary each week. Sometimes we will be discussing a book, while other times we are just sharing what has been helpful on our journey. 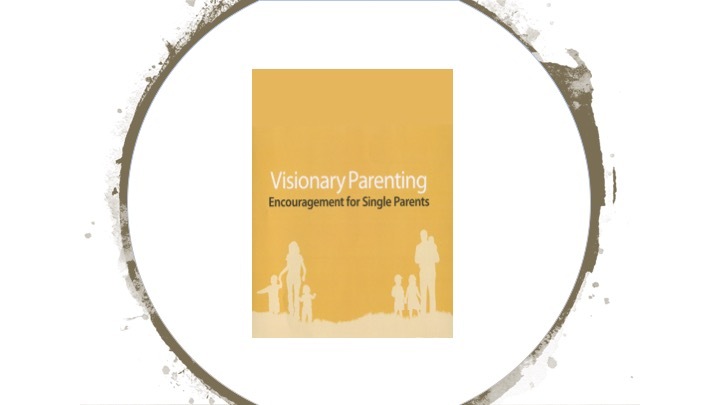 The Single Parent Ministry is currently studying Rob Rienow’s series on Visionary Parenting: Encouragement for Single Parents. Single parents will come away with a clear plan for passing faith to their children, and lots of encouragement from God’s Word to face everyday challenges. Come join us! We’d love to have you! For more information, please email us. To join the group or for more information, please email us at singleparents@rockpointechurch.org! Join the Single Parents for a monthly luncheon. Attend class or email singleparents@rockpointechurch.org for information and location. Children grieving the loss of a parent/loved one or divorce, call 800-879-4770. This is for ages 4 up through grade 6. Children in divorce situations: Click above on the DivorceCare link for a DivorceCare4kids group dc4k.org (click “Find A Group” and enter your zip code for churches in the area currently offering the class) or kidsindivorce.org. Teens: Program designed to encourage and empower teens to deal with their feelings, fears and emotions while experiencing the divorce or separations: thebigdinfo.com or call 763-218-0446.